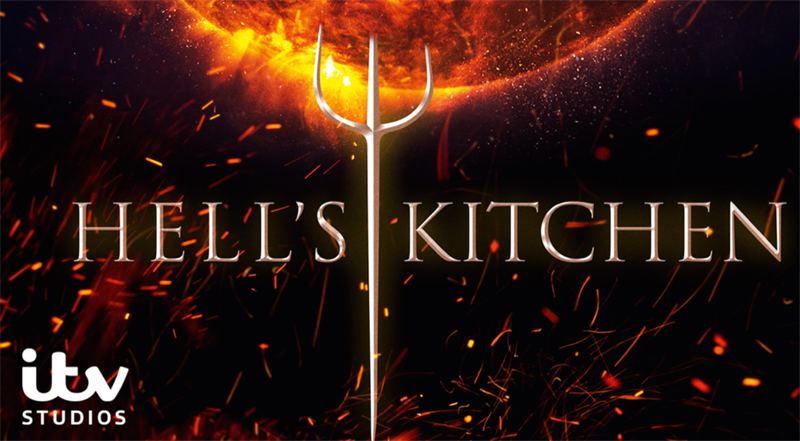 The mobile game developer Qiiwi Interactive (Qiiwi) and ITV Studios Global Entertainment (“ITVS GE”) today announce that they have entered into a strategic cooperation agreement to develop and publish a Match-3 game for the global brand Hell’s Kitchen. The show Hell’s Kitchen has been launched in over 20 countries including Australia, Bulgaria, Denmark, France, Russia, UK and the U.S. The U.S. version of the format has run for 18 seasons on FOX, fronted by British chef Gordon Ramsey, and has been sold throughout the world, with over 250 million minutes of content viewed on its YouTube channel since its launch last year. The collaboration marks an extremely exciting start for Qiiwi's new business area "Branded Games". Hell’s Kitchen is a very well-known international brand with a loyal and solid multi-million audience worldwide. The reality show has so far been launched in 20 international formats, where some of the countries are Australia, Bulgaria, Denmark, France, Russia, the United Kingdom and United States. In 2018, season 18 was launched in the US, season 5 in Italy, season 1 in Bulgaria with series 2 coming this year, while it also launched in Albania and returned in Russia. The American production of Hell's Kitchen is very popular worldwide and is led by the British star chef Gordon Ramsay. The brand also offers a wealth of opportunities in sponsorship, product placement and merchandising, while the first branded restaurant to launch – Gordon Ramsey’s Hell’s Kitchen – is situated at Caesars Palace, Las Vegas. The format Hell’s Kitchen sees one terrifying renowned chef ready to roast a batch of aspiring restaurateurs as they compete against one another for the Hell’s Kitchen crown. Real-life drama, high emotion and culinary passion combine, as the perfectionist chef attempts to instil their love of all thing’s food into a group of competing amateurs, who must try to prove they have what it takes to survive in Hell’s Kitchen and potentially run their own restaurant. ITVS GE is one of the world’s leading international TV distribution, home entertainment, publishing, merchandising and licensing businesses. ITVS GE distributes more than 45,000 hours of celebrated content across all genres from both its in-house production business, ITV Studios, and in collaboration with leading producers from around the world. Part of ITV PLC, which includes the UK’s largest commercial broadcaster, ITVS GE has offices in London, Hong Kong, Paris, Germany, Nordics, Los Angeles and Sydney. Hell’s Kitchen is a brand where both ITVS GE and Qiiwi see a huge international potential and where the reality series audience also is expected to fit well into a match-3 game. This is considered to be a very good starting point for being able to successfully drive large amounts of traffic to the game cost-effectively. Qiiwi and ITVS GE see this as the start of long-term cooperation. Qiiwi will develop, publish and maintain the app with ITVS GE, the licensor, leading on marketing internationally. The companies have agreed to a multi-year license deal, with the aim to launch the game internationally later this year. ”It’s huge for us to have the opportunity to work with a global partner like ITV and also to have been given the confidence to work with the world-famous brand Hell’s Kitchen. This follows our strategy and focus within our business area "Branded Games", where we see great potential in creating successful mobile games that can engage and entertain the large global audience that well-known international brands have. The advantages of working with strong international brands are many, but one of the most important aspects in today's mobile gaming climate is the possibility of successfully growing the player base of the actual game in a cost-effective manner. With ITV's global TV network and marketing efforts, as well as the proportion of organic/viral installations that we believe can be achieved thanks to the brand's international awareness, we see a great potential for this to be a very exciting project for Qiiwi. With the great opportunity and commercial values we see in the Hell's Kitchen game, we have chosen to prioritize development resources for this project. This means that the previously estimated soft launch start for our own "match-3 metagaming game" is postponed to the second half of 2019. ”Hell’s Kitchen had a fantastic year in 2018 with a very successful restaurant launch, new international format sales and multiple new licensing deals. Our focus is on building scalable relationships that can be truly international. This information is such that WeAreQiiwi Interactive AB is required to publish in accordance with the EU Market Abuse Regulation (MAR). The information was submitted by the contact person below, for publication on January 31 2019. ITV Studios Global Entertainment (ITVS GE) is one of the world’s leading international TV distribution, home entertainment, publishing, merchandising and licensing businesses. ITVS GE distributes more than 45,000 hours of celebrated content across all genres from both its in-house production business, ITV Studios, and in collaboration with leading producers from around the world. Part of ITV PLC, which includes the UK’s largest commercial broadcaster, ITV Studios Global Entertainment has offices in London, Hong Kong, Paris, Germany, Nordics, Los Angeles and Sydney. 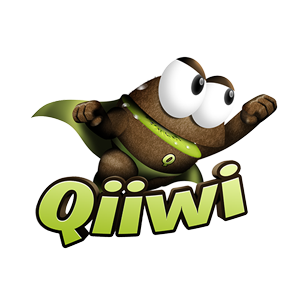 Qiiwi is a developer of games for mobile platforms such as iOS and Android. The company's current operations started in 2012 and the company is based in Alingsås, Sweden. Qiiwi focuses on developing mobile games targeting "Casual Gamers" within the genres Trivia, Match-3 and Word/Puzzle. The company's slogan is "Adventures for Everyone".